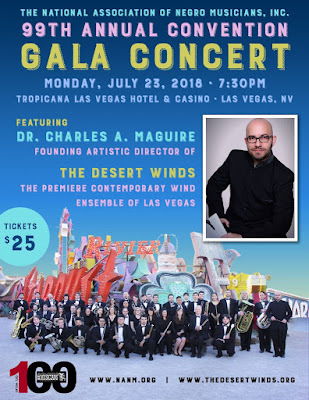 Sunday, July 22nd - Opening Mass Meeting features the Western Region Ensemble along with performances by regional representatives at Christ Episcopal Church Las Vegas. The evening concludes with the National Winds Scholarship Competition. Monday, July 23rd - Includes the annual choral music reading session with music composed by NANM National Board Members, Sylvia Hollifield, Marvin Curtis, Glenn E. Jones and Brandon Waddles. 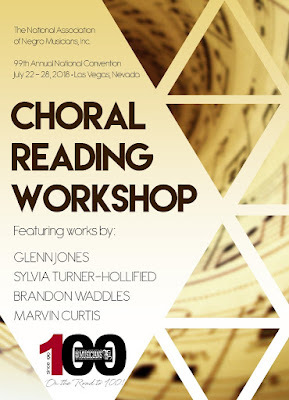 Other workshops include the History of NANM featuring the National Presidents, and Gala Benefit Concert featuring Las Vegas' own, Desert Winds. Tuesday, July 24th - NANM T-shirt Day!!! Day also features workshops on the Side Effects of Performance Anxiety with clarinet/piano duo Brennen Milton and Carlos Fuentes as well as the Affect Music has on the Brain, the Musician and the Listener with Music Therapist, Arvis Jones. 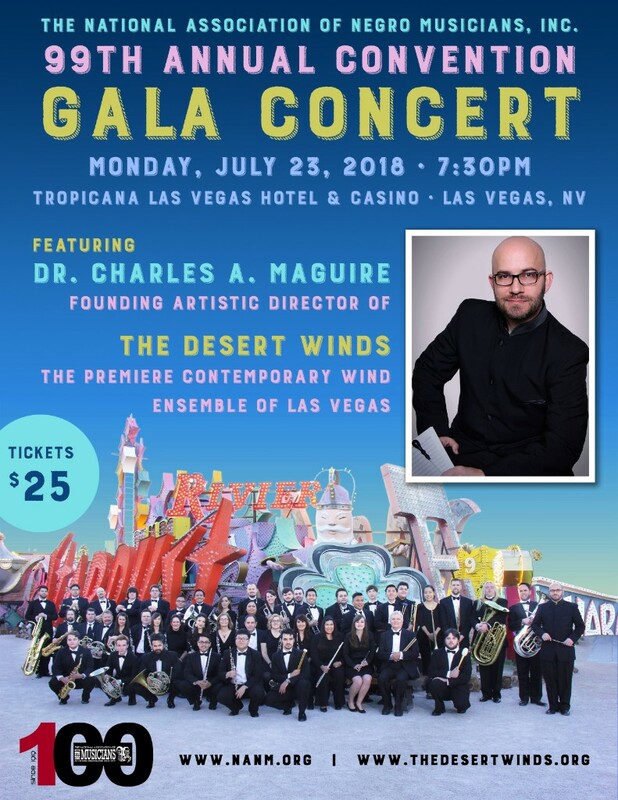 Concerts include the Members Recital at the West Las Vegas Arts Center and the Collegiate/Young Artists. 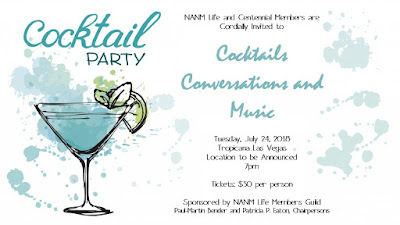 Enjoy a night on the town in Vegas!!! 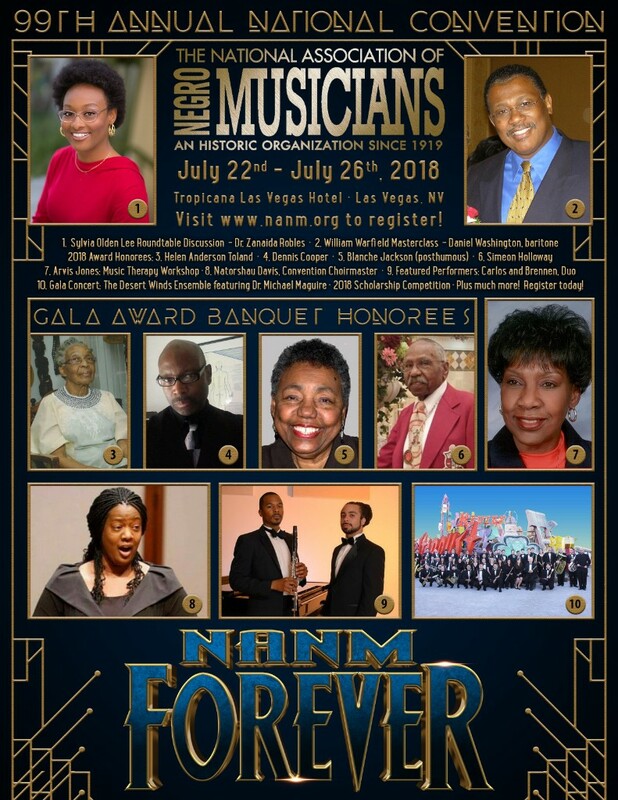 Wednesday, July 25th - Day includes a vocal master class with Professor Daniel Washington from University of Michigan, strategic planning update, and Juniors/Youth Concert. 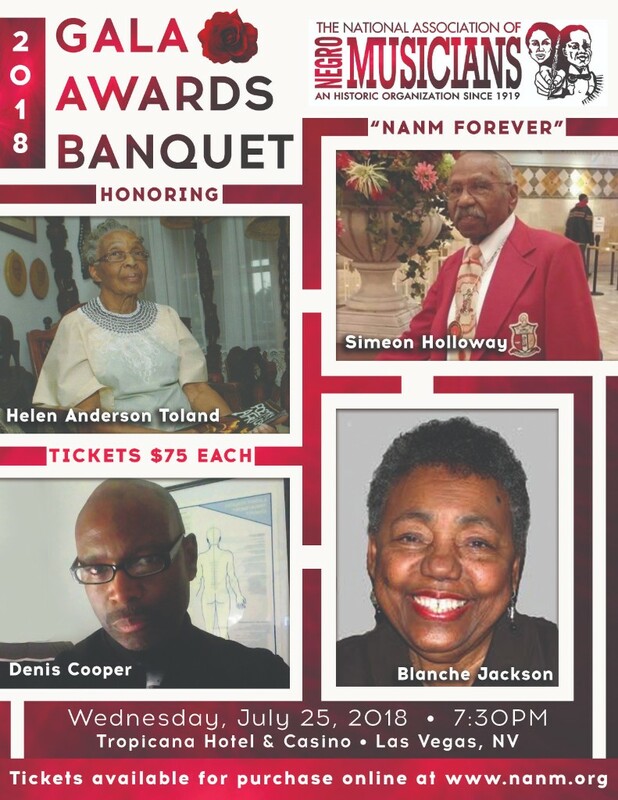 Gala Banquet honors local artists, music educators and philanthropists Helen Toland, Simeon Holloway, Denis Cooper and Blanche Jackson, posthumously. WGBH, Boston's PBS television station, called me to announce: They have found THE BLACK COMPOSER in the Library of Congress. It will be digitized and made available to the public online by the fall of this year (around October or November). I could hardly stand up I was so happy. 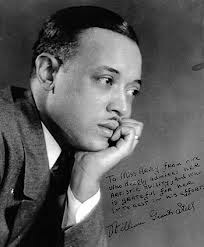 At last I'm going to see it again, and the time I spoke with William Grant Still. I am delighted to know that The Black Composer, an important documentary, has been found and will be available for viewing in the fall. Mr. Zick - I trust that you have been well, and congratulations to you for having kept AfriClassical going for these many years. Again, thank you for sharing information on the National Alliance for Audition Support Audition Intensive of a few weeks ago. As you may know, I have been writing for some years now, with my focus being interviewing friends and colleagues for blog posts and press materials to be published in tandem with artistic projects. I recently had a moment to interview conductor and composer Renee Baker on her film scoring in tandem with an upcoming appearance at the Museum of Fine Arts, St. Petersburg. Ms. Baker's appearance is in a program curated to complement Magnetic Fields: Expanding American Abstraction, 1960s to Today. Magnetic Fields is the first US presentation dedicated to the formal and historical dialogue of abstraction by women artists of color. I have posted our interview on my blogsite, and also attached a hard copy for your review. Would it be possible to share at AfriClassical for your readers? Albert Lamorisse's Le Ballon Rouge (The Red Balloon, 1956) is a must-see film for everyone. During the thirty-five minutes of Lamorisse's Oscar-winning film, one watches young Pascal discover a huge red balloon and then follows the pair as they remain inseparable through a series of adventures throughout the Belleville area of Paris as it existed before slum clearance efforts (also known as gentrification) undertaken by the Parisian government in the 1960s. The film is compelling for many reasons, the primary reason being the presence of an anthropomorphic red balloon as a central character. There is no narrative: all of the action is “told” through the actions of the characters and underscored by a delightful and sometimes haunting score by French composer Maurice Le Roux. The contrast between the darkness of post World War II Paris and the presence first of Pascal's companion and (in the tremendous finale) the colors of the balloon cluster that comes to Pascal's rescue is also significant: as films serve as documents, Le Ballon Rouge is a “color-record” of the Belleville region of Paris before the phenomenon of urban renewal made its way through the neighborhood. La Ballon Rouge is just one film that made a profound impression on Chicago Modern Orchestra Project founder and artistic director Renée Baker, who presents the 1926 Japanese avant-garde film A Page of Madness with live music score and chamber ensemble at the Museum of Fine Arts in St. Petersburg, Florida on Saturday, July 28, 2018. Heralded as “a dynamic force in the creative music scene in Chicago” by contemporary classical music magazine I Care if You Listen, Renée Baker is an incredibly multifaceted and prolific artist. 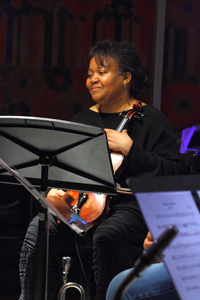 In addition to her work as a founding member and principal violist of the Chicago Sinfonietta, Ms. Baker is a member of the internationally acclaimed Association for the Advancement of Creative Musicians (AACM). Renee is also the founder of both the Mantra Blue FreeOrchestra and Chicago Modern Orchestra Project, both ensembles being dedicated to performing and recording works of living composers. An established visual artist, Ms. Baker's work has been exhibited in museums and art galleries across the world. Renée Baker's interest in and exploration of early twentieth-century African-American silent film is profoundly mission-driven. Understanding that a lot of early twentieth-century African-American history has been captured in many films, Ms. Baker feels the important need for twenty-first century audiences to explore those films. “I am working to bring honor to the fact that there is world cinema in a historical context that needs to be seen again,” she said. “After Body and Soul was premiered at the Museum of Contemporary Arts Chicago, I was asked close Ebertfest with the Chicago Modern Orchestra Project and the score, and in February 2018 I did a second film at Symphony Center called The Scar of Shame.” To date, there have been over thirty screenings of Body and Soul throughout the world, both with live orchestra and recorded score. In 2019, Ms. Baker will take Body and Soul to the Gateways Music Festival in Rochester, New York. In addition to scoring both German and Japanese expressionist films and becoming a true filmmaker, Ms. Baker's foray into filmmaking includes a recent presentation of a new version of D. W. Griffith's controversial Birth of a Nation (1914/15). “Griffith's version of Birth of a Nation was the first feature film shown in the White House, and this exploration definitely put things into perspective. Many of Micheaux's films were made in response to Birth of a Nation, and he was not the only filmmaker who decided that the images presented in Griffith's film would not be the only images people saw of African-Americans.” This timely screening of Birth of a Nation was titled “The Conundrum Conversation” and featured both a dinner and an introduction from the American Civil Liberties Union (“The audience had a good time,” Renée said.). When asked about the level of seriousness that she shows in all of her work, Renee said simply “I am simply a believer in my product and following my leanings.” “This matter-of-factness has been hallmark of Renée Baker's approach to all aspects of her career. “I am an abstract thinker on a journey, and what I do is honor that journey by doing my homework.” That sense of responsibility and curiosity has led to exploring the Black Center Film Archives at Indiana University (“They were so gracious in allowing me to visit and have full access to the available resources.”). Renee Baker conducts an original music score to the 1926 avant-garde film A Page of Madness with chamber ensemble as a part of Magnetic Fields: Sonic Abstraction at the Museum of Fine Arts, St. Petersburg, Florida on Saturday, July 28, 2018. An afternoon of abstract sonic work by female African-American composers, this event was curated to complement Magnetic Fields: Expanding American Abstraction, 1960s to Today. Magnetic Fields: Expanding American Abstraction, 1960s to Today is the first U.S. Presentation dedicated to the formal and historical dialogue of abstraction by women artists of color. Organized by the Kemper Museum of Contemporary Art, Kansas City, Missouri, Magnetic Fields was also shown at the National Museum of Women in the Arts, Washington DC. Deeply Rooted Dance Theater (DRDT) conducts its 20th annual Summer Intensive, themed “Looking to the Youth,” for 80+ national and international students from ages seven to 70 June 25–July 21 at its home studio, 17 N. State Street in downtown Chicago, along with offerings at the Bartlett Center, 5841 S. Maryland Ave. on the University of Chicago campus, and Palmer Park, 201 E. 111th Street, Chicago, in partnership with the Chicago Park District. The Intensive culminates in performances July 20 and 21 at 7:30 p.m. at the Reva and David Logan Center, 915 E. 60th Street in Hyde Park. 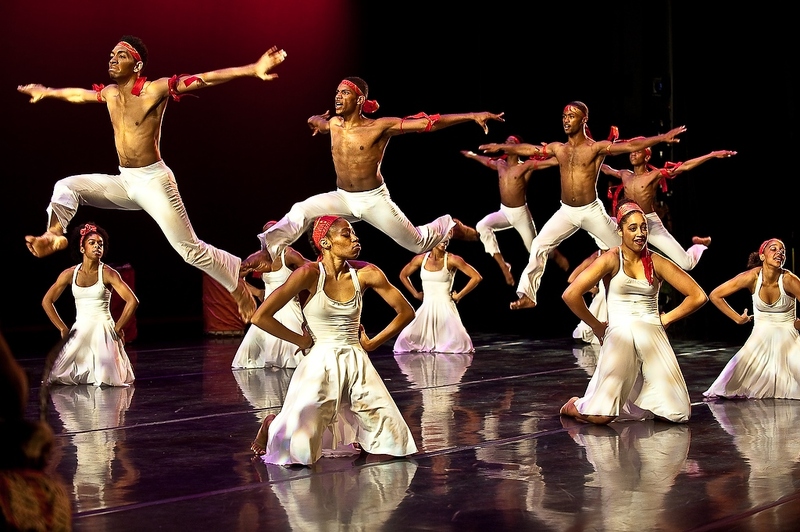 With the City of Chicago designating 2018 as the Year of Creative Youth, DRDT is emphasizing the expansion of the Intensive’s Youth program and the deepening of the Deeply Rooted Dance Theater Youth Ensemble (DRDT-YE). 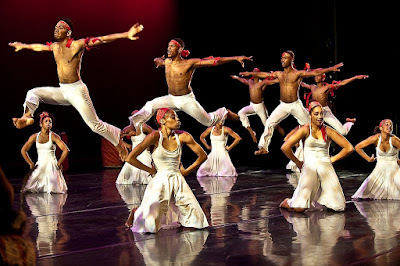 In addition to the Intensive’s July 20 and 21 final performances at the Logan Center, the DRDT-YE performs as part of Night Out in the Parks, a program of the Chicago Park District, July 26 and 27 at Hamilton Park, 513 W. 72nd Street, and August 1 at Palmer Park, 201 E. 111th Street. 915 E. 60th Street, Chicago. Tickets are $25–50. Chicago Park District performances are free. For information about the 2018 Summer Intensive programs, visit deeplyrooteddancetheater.org. Hearing is believing! Portland's locally-grown orchestra returns for a landmark 95th season with an invigorating new lineup of performances in the historic Arlene Schnitzer Concert Hall. Astonishing audiences since 1925, Portland Youth Philharmonic will soon be the first U.S. organization for young musicians to reach its 100th anniversary. PYP will kick off Season 95 on Saturday, November 10, 2018, with The American Scene, showcasing distinguished composer William Grant Still's The Far West, a three-movement suite from his much larger work The American Scene, which explores American identity in different geographical regions of the country. Known as "the Dean" of African-American composers, Still captures in this suite themes depicting America's unique western soul. CHICAGO – June 28, 2018 – The Joffrey Academy of Dance, Official School of The Joffrey Ballet, announces a national call for ALAANA (African, Latinx, Asian, Arab and Native American) artists to submit applications for The Joffrey Academy’s Ninth Annual Winning Works Choreographic Competition. The goal of the award is to recognize talented and emerging ALAANA choreographers whose unique perspective will ignite creativity in the form of original works of dance. The deadline for application is September 1, 2018. The winning choreographers will be awarded a $5,000 stipend and given a minimum of 30 rehearsal hours. Choreographers will also be provided with travel and accommodations for the duration of their residency. The choreographic work must be original and developed by the applicant. The finished piece must be at least 10 minutes long (maximum of 12 minutes), and include a cast of at least 10 dancers. They will set their piece on the members of the Joffrey Studio Company and the Joffrey Academy Trainees, with the opportunity to seek guidance from Joffrey Artistic Director Ashley Wheater and Head of Studio Company and Trainee Program Raymond Rodriguez. The Joffrey Academy of Dance’s Winning Works program will be presented at the Museum of Contemporary Art Chicago, the Joffrey’s hosting partner, at MCA’s Edlis Neeson Theater, 220 E. Chicago Avenue. There is no submission fee. The online application form is available at joffrey.org/winningworks. Questions can be emailed to winningworks@joffrey.org. Christopher Wheeldon’s stunning re-telling of this classic tale returns for the first time since its Chicago Premiere with the Joffrey in 2014. A ballet in four acts, Wheeldon transports one of ballet’s most famous works to the studios of the Paris Opera during the 19th century, the same era Tchaikovsky composed Swan Lake in Moscow and when a young impressionist named Edgar Degas was on the rise in Paris. The Joffrey Ballet will once again present its reimagined holiday classic The Nutcracker by Christopher Wheeldon. Set during Chicago’s 1893 World’s Fair, Wheeldon’s turn-of-the-century tale opens as young Marie and her mother, a sculptress creating the Fair’s iconic Statue of the Republic, host a festive Christmas Eve celebration. After a surprise visit from the creator of the Chicago Columbian Exposition, the mysterious Grand Impresario, Marie embarks on a whirlwind of adventure and romance with the Nutcracker Prince through a dreamlike World’s Fair. Created by visionary choreographer Yuri Possokhov, this world premiere collaboration between The Joffrey Ballet and The Australian Ballet brings Leo Tolstoy’s epic 19th century story of forbidden love, passion and self-destruction to life on the stage. The Joffrey’s spring engagement, a mixed repertory program entitled Across the Pond, features the United Kingdom’s most influential artists, including a world premiere by London-based choreographer Andrea Walker, the Chicago Premiere of Kairos by Wayne McGregor and the Joffrey Premiere of Symphonic Variations by the iconic Sir Frederick Ashton. For the fourth year in a row, The Joffrey Ballet will open its special, one-hour gala performance exclusively to Joffrey subscribers and gala attendees. For the first time, the gala will be held at the Lyric Opera House and will celebrate the artists who make the Joffrey one of the world’s leading international dance companies. This one-night-only performance features a specially-curated program by Artistic Director Ashley Wheater. A special appearance in 2019, The Joffrey Ballet makes its Chicago Symphony Orchestra (CSO) debut in performances that feature a world premiere work (choreographer to be announced at a later date) set to the music of Stravinsky’s Dumbarton Oaks Concerto. This program also features Christopher Wheeldon’s ballet Commedia, set to the music of Stravinsky’s Suite from Pulcinella. Note: The Joffrey’s collaboration with CSO is not part of the Joffrey season and tickets are not available through The Joffrey Ballet. Performances take place at Symphony Center (220 S. Michigan Ave.). More information can be found at CSO.org. The Joffrey Academy Trainee Program is a one to two-year program for students ages 17 and older who are preparing for a professional dance career. Students are selected to participate in the Trainee Program by invitation from Artistic Director Ashley Wheater and the Head of Studio Company and Trainee Program Raymond Rodriguez. This esteemed and rigorous program gives students a unique and well-rounded experience to prepare them for the next step in their careers. Trainees rehearse and perform classical and contemporary works from The Joffrey Ballet’s extensive repertoire and have the opportunity to work with guest choreographers throughout the year. Graduates of the Academy have gone on to dance professionally with companies throughout the world including The Joffrey Ballet, American Ballet Theatre, New York City Ballet, Staatsballett Berlin, Dresden Semperoper, Complexions, Milwaukee Ballet, Memphis Ballet, Kansas City Ballet, BalletMet, Polish National Ballet, Slovak National Ballet, Netherlands Dans Theater and more. For more information on the Joffrey Academy of Dance, Official School of The Joffrey Ballet and its programs please visit joffrey.org/academy. Connect with the Joffrey on Facebook, Twitter and Instagram. in finding the power of her own voice. Session I of our Summer Music Academy is in full swing. Students are having a blast learning voice, Afro-Cuban percussion, Zimbabwean-style marimbas, electric and bass guitars, trumpet, and so much more. There is still space in Session II: July 2 - 13 and Session III - July 16 - 27. Give your child the gift of music and community this summer by registering today! Payment plans and scholarships available. We are thrilled and honored to be welcomed into the NoVo family as the recipient of multi-year project support for our Black Girls Play (BGP) program. The NoVo Foundation grant "supports our ongoing efforts to create spaces where Black girls develop their musical identity and build meaningful relationships with black women adult artists." We are looking forward to introducing more Black girls to the music world and supporting them in realizing their dreams. Deep gratitude to the NoVo Foundation for seeing, acknowledging and supporting the work of Black Girls Play! WASHINGTON—First Lady Michelle Obama and the Know Your Rights Campaign, founded by professional quarterback and racial and social justice advocate Colin Kaepernick, are among the dozen recipients of the prestigious National Education Association Human and Civil Rights Awards. The theme of the awards ceremony is Many Dreams, One Voice. The awards also will feature celebrity emcee, political commentator, and social justice advocate Angela Rye and entertainer Chaka Khan. The merger of the National Education Association (NEA) and the American Teachers Association (ATA) in 1966 produced the annual NEA Human and Civil Rights Awards. ATA, which represented Black teachers in segregated schools, traditionally honored leaders in the justice and civil rights movement annually. Since the merger, NEA has recognized and honored educators, individuals, community partners, and organizations that are advancing the mantle for human and civil rights. In addition to recognizing First Lady Michelle Obama and Colin Kaepernick’s Know Your Rights Campaign, NEA will recognize the following individuals and organizations for continuing the quest for human and civil rights in America. North Carolina educator Rodney Ellis, Sr. 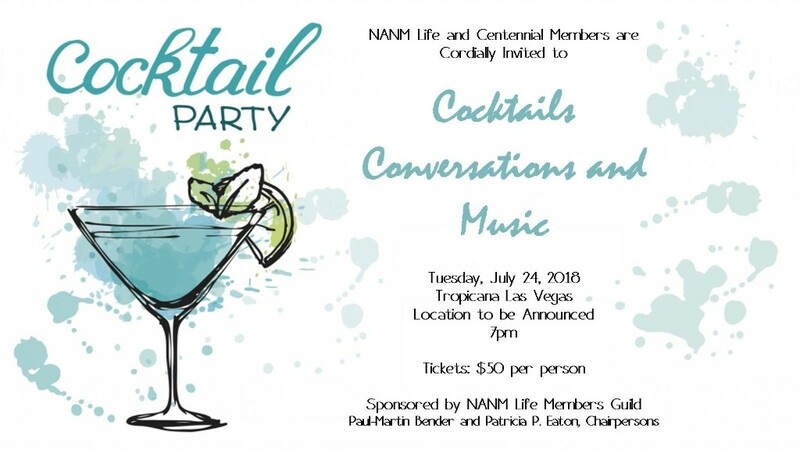 WHEN: Sunday, July 1st, 2018; reception 5:30 and awards ceremony 6:30 p.m. In October 2018, the not-for-profit Rachel Barton Pine Foundation’s Music by Black Composers project will take a monumental step toward showing the world #BlackisClassical, with a host of assets including the publication of the FIRST in a series of books of music exclusively by Black classical composers from around the world. Composers of African descent have created masterful classical music for centuries, yet they continue to be underrepresented in concert programming and in classical music education, silencing a rich vein of works from global consciousness and obscuring the true face of classical music. As young musicians seldom have the opportunity to study and perform classical music by Black composers, artists and enthusiasts of color struggle to participate in an art form in which they do not appear to belong, perpetuating a lack of diversity on stage and among audiences. Over the past two decades, the not-for-profit Rachel Barton Pine (RBP) Foundation’s Music by Black Composers (MBC) project has uncovered 900+ works by over 300 black composers from Africa, Europe, Asia, Latin America, the Caribbean, and North America, from the 18th to the 21st centuries. Most of this wonderful repertoire is out of print or only in manuscript. Our educational series kicks off with the October publication of MBC Violin Volume I. Each orchestral instrument will be the subject of multiple volumes, which will be graded by difficulty from beginner to advanced concerto-level playing and will include biographies for every composer, role model profiles, and feature articles about Black participation in classical music. Subsequent publications will include works for school orchestra and chamber ensembles. Ignatius Sancho (1729 – 1780) – Born a slave, Sancho was the first Black composer in the world to have his music published and the first Black British person to vote in a British election. Samuel Coleridge-Taylor (1875-1912) – Coleridge-Taylor's “Hiawatha’s Wedding Feast” was one of the most popular pieces of music in England for many decades. Florence Price (1887-1953) – Born in Little Rock, AR, in 1933 Price became the first African-American woman to have her composition performed by a major orchestra. Jessie Montgomery (1981-) – A violinist and composer, Montgomery is affiliated with The Sphinx Organization. She received the Chamber Music Society of Lincoln Center’s Composer’s Apprentice Award and has a Bachelor’s from Julliard and a Master’s from New York University. The MBC publications are part of a multi-pronged approach to spread awareness of and access to music by Black composers. 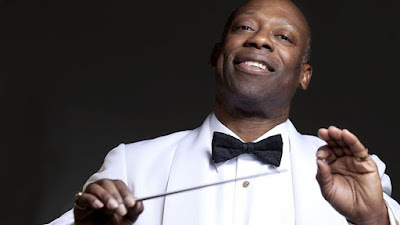 The MBC website currently features a directory of more than 150 living Black composers, for use by performers, researchers, and those wishing to diversify their commissioning. In addition, MBC has joined forces with the Orchestral Music by Black Composers (OMBC) project, founded by Ashley Jackson and James Blachly, to build an online database providing information about symphonic works written by Black composers worldwide. MBC is also developing a coloring book of the 40 most prominent Black composers as well as a timeline poster featuring more than 250 composers. The Music by Black Composers project was conceived by the award winning, Billboard chart topping violinist, Rachel Barton Pine (www.rachelbartonpine.com) who performs with the world's leading orchestras and has recorded 37 acclaimed albums. She became the first living composer to be published as part of Carl Fischer’s “Masters Collection” series with the release of “The Rachel Barton Pine Collection.” Her performances are heard on NPR and stations around the globe and she has appeared on The Today Show four times, CBS Sunday Morning, Bloomberg Television, CNN, PBS NewsHour and has been featured in the Los Angeles Times, New York Times and papers around the world. In addition to the MBC project, her RBP Foundation assists young artists through its Instrument Loan Program, Grants for Education and Career, and Global HeartStrings which supports musicians in developing countries. For more information, please visit rbpfoundation.org, musicbyblackcomposers.org, and RachelBartonPine.com.